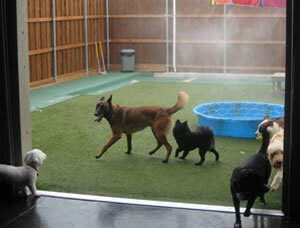 At All Dogs Unleashed, we specialize in results-oriented obedience training. 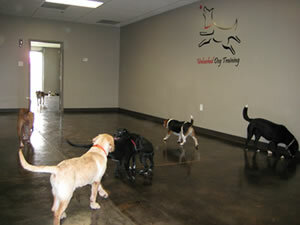 Our trainers are highly-qualified to address any breed of dog. The training method developed by All Dogs Unleashed is suitable for all dogs and is based on obedience and behavior modification. Other traditional dog-training techniques, where the command “NO” is used to address unwanted behavior, only lead to behaved dogs while the owners are present. Our very unique training teaches the dog to teach itself, this way the training works even when you are away from the dog. The Board and Training program at All Dogs Unleashed is a 2-week program that’s conducted in a highly-structured environment. 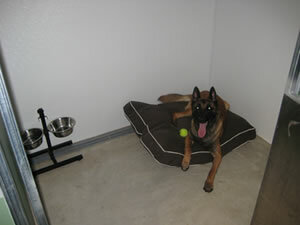 After our training, your dogs will perform all the desired commands, and will achieve the control you desire. Once your dog is trained, we then spend a couple of hours training you and your family! It is very important the rules and expectations are consistent, which is why we don’t leave until everyone feels 100% comfortable with continuing the training from home. 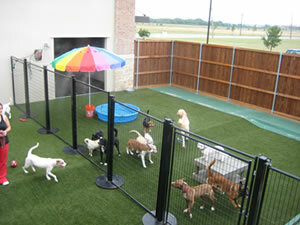 Along with training, your dogs will get structured outdoor/indoor socialization around other dogs. This service is ideal for puppies, busy owners, training around high distractions and dogs that need extra attention. Going on a vacation? The Board and Training program is a great option if you are planning a vacation or if you’re too busy for private lessons. Imagine coming home from a relaxing vacation, to a well behaved dog being returned to you in the comfort of your own home. Our Board and Training program is designed around your convenience. We accommodate pet owners with our free pet pick-up and delivery along with unlimited follow-up for the life of your dog! Contact us below for more information and to schedule a free in-person demo.